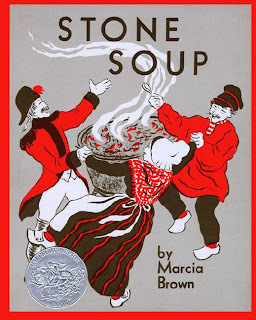 Stone Soup is a fable about a European village where weary travelers seek hospitality only to be told there is no food. The strangers respond by making "stone soup". Intrigued, the greedy villagers want to join their visitors. They are enticed into adding cabbage to the pot and whatever else they have hidden away. The Portuguese have a soup they call sopa de pedra or stone soup that is made of cabbage and whatever else that can be found. There is another Portuguese tradition that revolves around soup. At the annual Festa do Espirito Santo in the Azores Islands and Azorean communities around the world sopas is served. A rustic meal made of cabbage, beef, spices, and served over bread with mint sprigs. 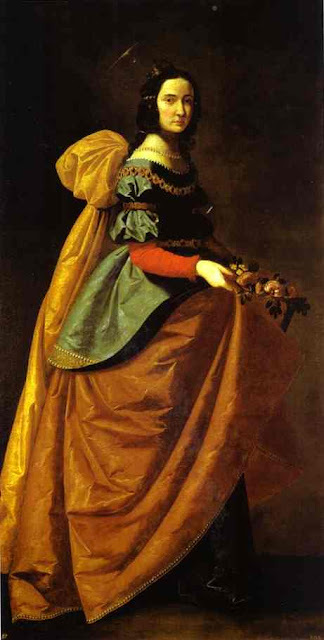 The festival honors St. Isabel of Portugal (1271-1336) who dedicated her life to the poor and ill and is featured in the painting by Spanish painter Francisco de Zurbarán (1598 –1664). The queen was married to the Portuguese King Diniz. He did not agree with her generous nature. During one winter Isabel hid loaves of bread from the palace in her robes. When her husband who had forbiddenher to give food to the poor confronted her the loaves were transformed into roses. The queen is still revered through out Portugal and especially in the Azores. 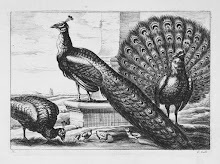 Every year Isabel is celebrated at festas where elaborate parades are staged with young girls crowned as queens and a free community banquet is served in large halls. To honor her charitable spirit everyone is fed sopas including weary travelers and the poor.